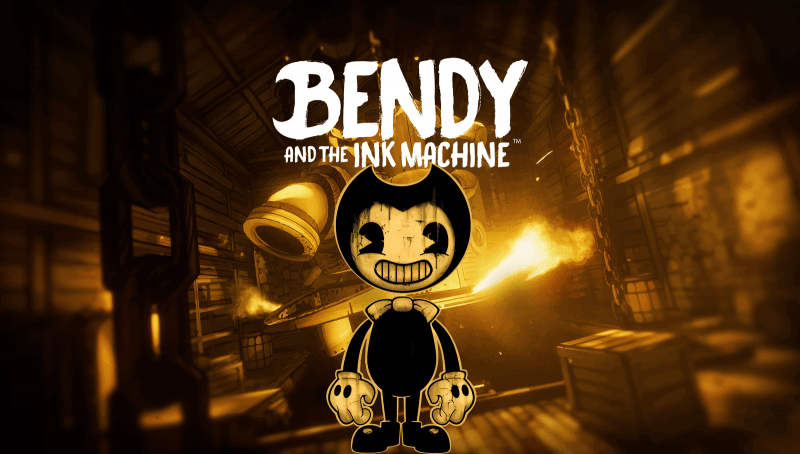 After debuting it’s first chapter on steam nearly 14 months ago, the full BATIM package has made it’s way to the console market and into the eager hands of those who’s first impressions were served by their favorite gaming you-tubers, mining a fresh, obscure and interesting product appearing a virtually perfect fit for younger audiences glued to the gameplay/walkthrough scene, and that was my impression for the entire first chapter. Bendy proves itself as more than forgettable beyond it’s clever premise, If there’s something this game does remarkably well is subvert expectations, offering a few surprising and downright surreal moments. The tone soon shifted, offering more than jump scares (of which there are still a few to be found). The sinister and unnerving first chapter played much like any other games of it’s type, you’re largely a witness to what the game wants you to see, subject to the usual jump scare pokes and prods while being told to do this and put this thing here. It seems to be everything the marketing tells you it is. the experience starts change as you progress, the horror element pares back and you become less of a passive observer and more a participant in a story, capable of defending yourself from certain enemies and interacting with characters. The game world gets bigger and a little more complex. Gameplay is simple affair, and requires minimal interaction with certain objects in a specific order but it almost doesn’t matter, it’s an excuse to shuttle you through the corridors and funnel you into the scripted spook, the tensest moments come when you encounter the ink demon that stalks your movement through later sections, the panic of retracing your steps to the last box you passed to hide in, provided the most engaging moments in the 6 hour play time, regardless of how i felt between these occurrences, it never failed to fill me with gleeful panic. The visuals are a mixed bag, the cartoon design is great but the environment stays the the same sandy beige and black all the way through, saved only by some great lighting peppered throughout the game, the hand drawn textures are a nice touch but feature the same few textures everywhere and don’t appear to mesh with other visual elements, this detracts somewhat from a larger sense of immersion and plants you in a cartoon world instead of subverting a realistic world but this is a small point over all. Bendy and the ink machine was a genuinely fun world to visit, it’s not hard to see why it’s popularity brought it to consoles. At this time few games cater to a young audience without being directly marketed as such and fewer offer real substance, the divide between what is made for younger gamers and what they may gravitate to has never really been greater. Bendy and the ink machine is a big step in the right direction.